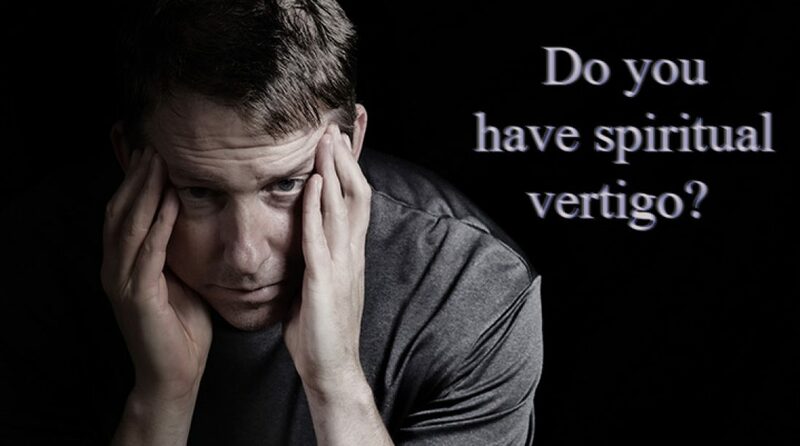 Do You Have Spiritual Vertigo? A few years ago I woke up to find the room spinning around me. I tried to stand up but I couldn’t and found myself on the floor. Since I hadn’t experienced anything like it before I was definitely worried. I booked in to see the doctor and he told me I have mild Vertigo. I had heard about it before (one of my favorite golfers suffered from it years ago) and knew a little of what it was. It was really the strangest thing. Other than the dizziness I felt totally fine. No headaches, nauseousness or pain, just the sense that everything around me was on the move. According to Wikipedia Vertigo (from the Latin vertō “a whirling or spinning movement”) is a type of dizziness, where there is a feeling of motion when one is stationary. It made me think about spiritual Vertigo. So often in the busyness of service we allow ourselves to get too overwhelmed. Everything seems to be moving along fine but life is actually spinning around us. We can’t quite put our finger on it. Maybe we’re just physically run down and need a break. Maybe we are spread too thin emotionally and can’t deal with the stress that being active in service can bring. Yet quite often in my life it’s something much simpler: a detachment from the life source. That’s really the secret to stopping the spinning. I have a tendency to do a lot. Last spring I had commitments every evening for 26 nights in a row without a break. I quite often have many things on the go at the same time. Some I enjoy more than others, but there is still a level of responsibility. So it’s vital that I come away from all of the craziness and just focus on the Lord. Staying plugged into the Vine is the only way to bear good fruit. It’s been a challenge for me to evaluate my service for the Lord and cut out things that are not causing me to bear good fruit. It’s not an easy decision and often-times others involved are unhappy or disappointed with the decision. Emotionally it can take its toll. But if we are to be true to what the Lord is calling us to then those tough decisions need to be made even if it means a ministry or service comes to an end. I am a firm believer that if a ministry is the Lord’s ministry and He is asking someone to step back then He will have someone else in mind to carry it forward. How are you handling your service for the Lord? Are you simply going through the motions with no passion for the work? Are you realizing that some things need to change? Remain in the Vine and draw your strength and direction from His leading. He will never lead us into something that is not for our best and His glory. Of course maybe you are at a point where you are not involved in serving the Lord or you know you could be doing a lot more. It’s time to evaluate priorities and re-align them to His will. According to Scripture our service falls into 3 main categories in order of priority. The local church is the primary arena for using the gifts the Lord has given us. It’s among our local brothers and sisters that our most involved ministries should be focused. The local church is also the place where we should be putting the most effort in terms of serving one another. The New Testament teaches us a lot about serving others. It’s not difficult to find brothers and sisters to serve. There are young people who need a guiding hand, there are widows and shut ins who need comfort and encouragement, and there are hurting lives all around us who need the love of Christ shown to them. The second priority for service is in reaching the lost. This isn’t always a part of a local church since personal evangelism is important as well, but if the assembly is active in evangelism then we should also be active with them as fellow-laborers of the Gospel. We must never forget that while we may not have the gift of evangelism, we are all called to be witnesses and to make disciples. We are to reflect the character of God and as much as possible speak to others about Him. The third priority (yet still very important) is our service for others in the world. We are commanded to feed the hungry and comfort the outcast. We should not neglect those who are struggling and need support. This is also a great way to lead them to the Lord and reflect His character. How are you serving the Lord? If you are unsure of the answer then maybe it’s time to plug back into the source and get a fresh, renewed perspective on His plans for you. If your life is spinning, cut back on things that are hindering your spiritual life. Tough decisions require touch action. 6 Responses to Do You Have Spiritual Vertigo? I would add one more to this list… Care for family and that should be #1. Good point Craig. I think there is a balance in that. Some focus only on family at the exclusion of the church and I don’t see that being true to scripture. While we see some verses about family we see more about the church and evangelism. I wouldn’t put it #1 but it’s definitely a consideration. Indeed Crawford balance is key! I agree with Deb/Jabe that all these things should be integrated into our lives through the Holy Spirit. Before marriage, I would have left off family from this list too since I didn’t have a wife or kids. I often griped about families choosing birthday parties over chaopel meetings or family vacations over helping with VBS and to a certain measure, it still bothers me. I am convinced the best place to raise a family is within the church and on the mission field (whether that mission field be in Alabama or Albania). However, as I study scripture with regard to the church, and particularly for leadership, a proper caring for the family is marked as essential throughout the epistles. It is not left out and replaced with church responsibilities, evangelism or caring for needy people. In qualifications for elders and deacons, a well managed household is a MUST. Scripture speaks of wives properly loving their husbands and kids so that “the word of God is not blasphemed” (Titus 2:4-5). In fact, I would venture to say that the family unit is the oldest and best example of Christ and the Church that God has given us. It is the Gospel on display and it is the Church on display each and every day. Indeed to honor the Lord, we must put as a priority the NEEDS of our spouses (and by extension children). Now, I am NOT saying that we need to place our cousin’s wife’s brother’s birthday party as more important than the prayer meeting or Johnny’s football game over the chapel evangelistic outreach- those are WANTS not NEEDS. I’m talking about ignoring our responsibilities to take time to love our wives and raise our kids (if we have them) in the name of “ministry”. I have seen a number of marriages fail, children rebel and families destroyed because the parents (usually fathers) were more concerned with “church” than their families. We must first mirror at home what we are teaching at church or to the unsaved. A healthy and godly family is an amazing testimony to a lost world and to other believers. So if we are talking about “spiritual vertigo” and over busyness, we cannot leave out the family as our spouses and children are an important part of our ministry responsibilities. However, I completely join with you, Crawford, and affirm that the best place to raise a family for the Lord is ministering together in the assembly, in evangelism and to the needy. I agree 100%. We’re on the same page. People should not neglect their family responsibilities and at the same time they should be committed to and devoted to the church. Crawford, I agree with your article and comment. I have a friend who got me thinking about the balance you speak of. She said to me, “Family can be an idol.” It made me evaluate my focus. I think it might have been brother Jabe Nicholson that said that it is not so much living with a numbered list of priorities, but walking with the Lord, in the Spirit. I guess that would be obvious, but it helped me in my thinking. A couple of weeks ago I came home from a volunteer job feeling absolutely depressed and went to bed. I woke up feeling fine the next day. However, as the week went on, I had to delete more and more regular weekly things out of my calendar. When this got down to having to miss church, I knew something was wrong. 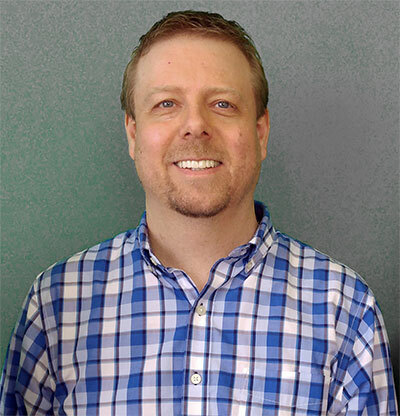 I’ve been trying to do so much this year and book my schedule solid for 2015, but I’ve begun to see how all of the things that I have set to do, almost all of them in some form of ministry, the Lord has stopped me with a fatigue and exhaustion that I can’t begin to describe because I’ve never had it before. Crawford, your article is VERY timely for me as all I’ve been able to do most days since this started is to read the Word and other books by Christian authors while stuck in bed for hours at a time. While I understand that I may have been trying to do every possible thing under the sun, the main question remains: What does God want me to do? He will give me the time to get it done. My plans have to take a backseat on this one.